Wherever You Write, You’re Covered – Even on Your iPhone! WhiteSmoke’s promise of “perfect English writing, wherever and whenever” takes on a whole new meaning with their new iPhone application. Delaware, July 1st – With today’s technology, communication is just one of those things that are easy to do. From emails to cell phones, texts and IMs, forums and VOIP – sending out your message is as simple as hitting “enter”. WhiteSmoke Inc was established in 2002 to answer an emerging need brought on by the rapidly growing reliance on the Internet. With communications being nearly exclusively virtual, good writing skills have become just as important as good verbal communicative skills, if not more so. 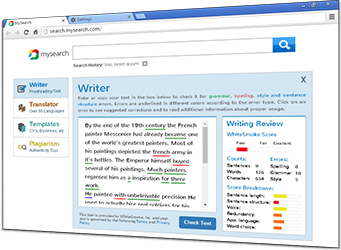 WhiteSmoke’s products are based on NLP (Natural Language Processing) technology, featuring unique and patented artificial intelligence algorithms for sophisticated text analysis, allowing their millions of users worldwide to enjoy the confidence of professional English writing on their PC, Mac and now – their iPhone. CEO of WhiteSmoke, Hilla Ovil Brenner, says “When we made the promise of perfect English writing anywhere, at the time we meant anywhere on your computer. But why stop there? Our users rely on us and get used to having us around, so we intend on being there! This is only the beginning…” concludes Mrs. Brenner with a smile. With WhiteSmoke’s new iPhone application, downloadable on iTunes, you can learn grammar with fun and entertaining comics. The application if filled with content used by universities, colleges and education ministries around the world. 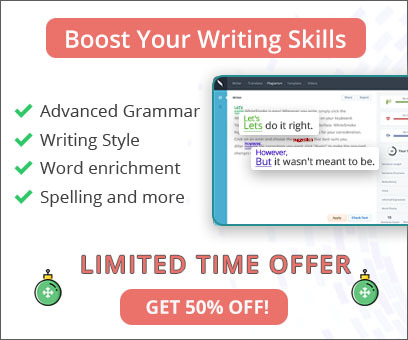 WhiteSmoke is now offering this app as a bonus to customers who purchase their PC or Mac Writer. For more information, visit WhiteSmoke’s official website or call their offices.